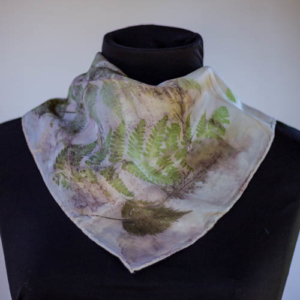 The cold time of the year has arrived, so making comfortable and warming merino scarves using eco print felt just right. 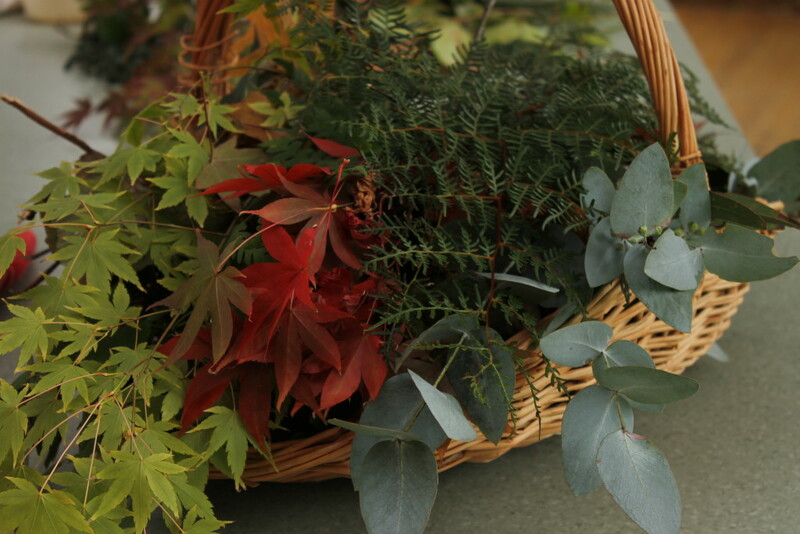 A walk on our farm and through my neighborhood picking the last colorful leaves. 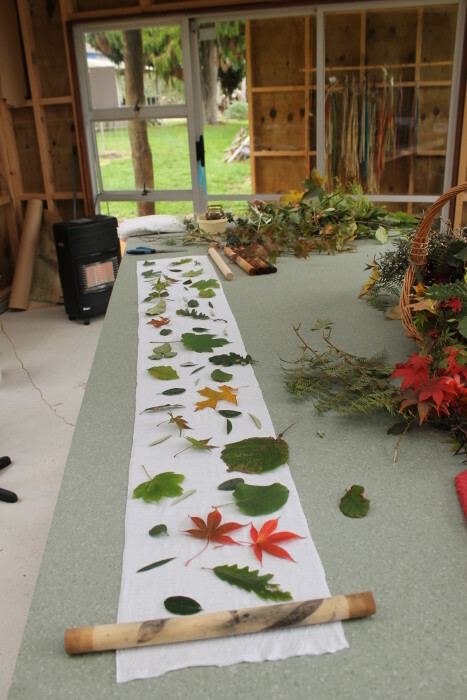 Good that the natives don’t loose their leaves during winter time. 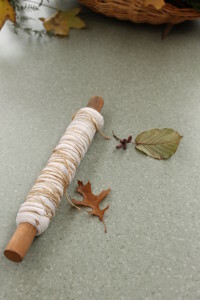 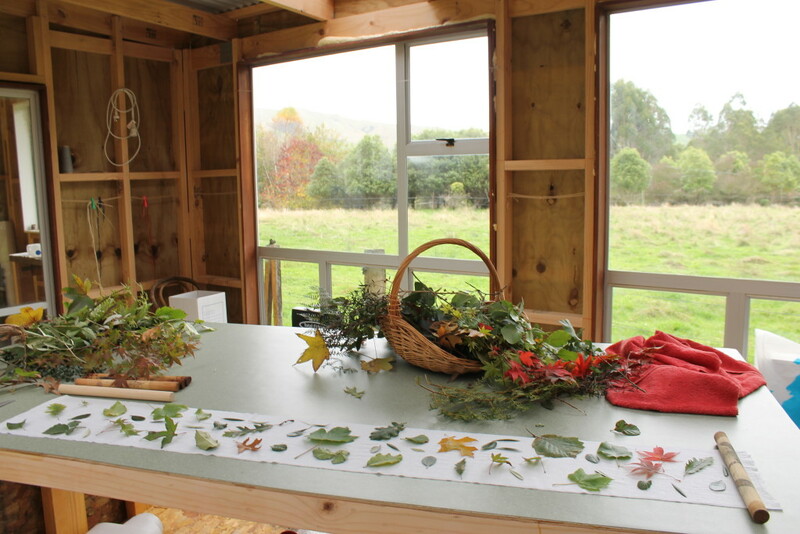 Placing the leaves on merino knit fabric (wool and natural dyes have an affinity for each other), then rolled in bundles. 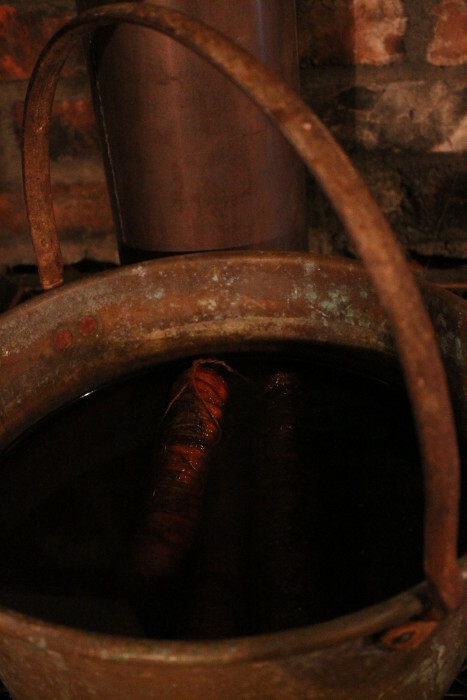 Letting the pot (here a copper pot which function as mordant) sitting on the fireplace feels somehow very natural and saves energy. 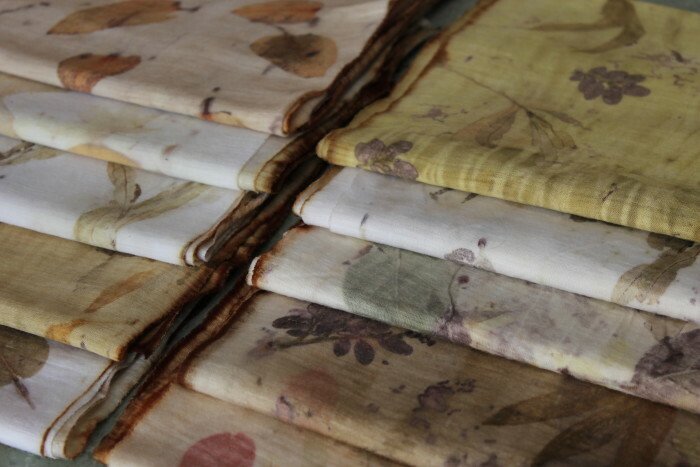 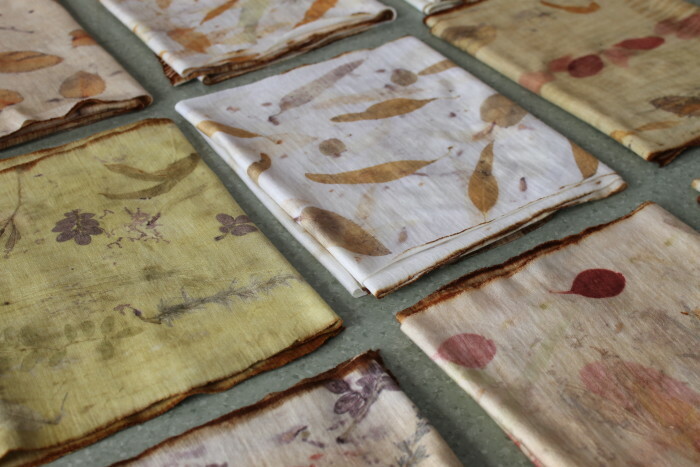 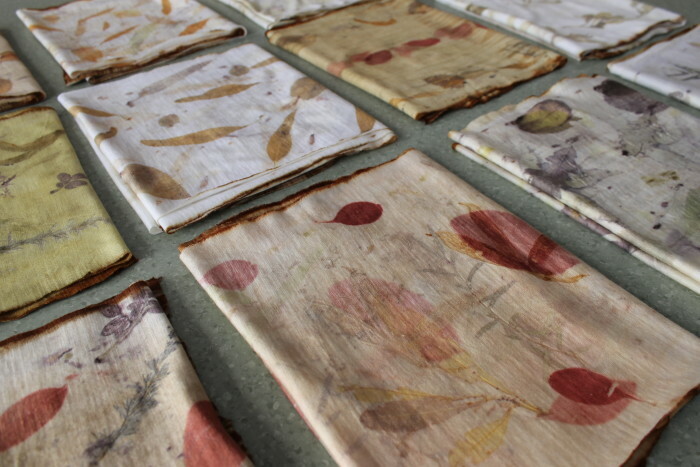 This is a range of my merino eco prints, some dyed with botanical dyes afterwards to give them a softer looking finish. 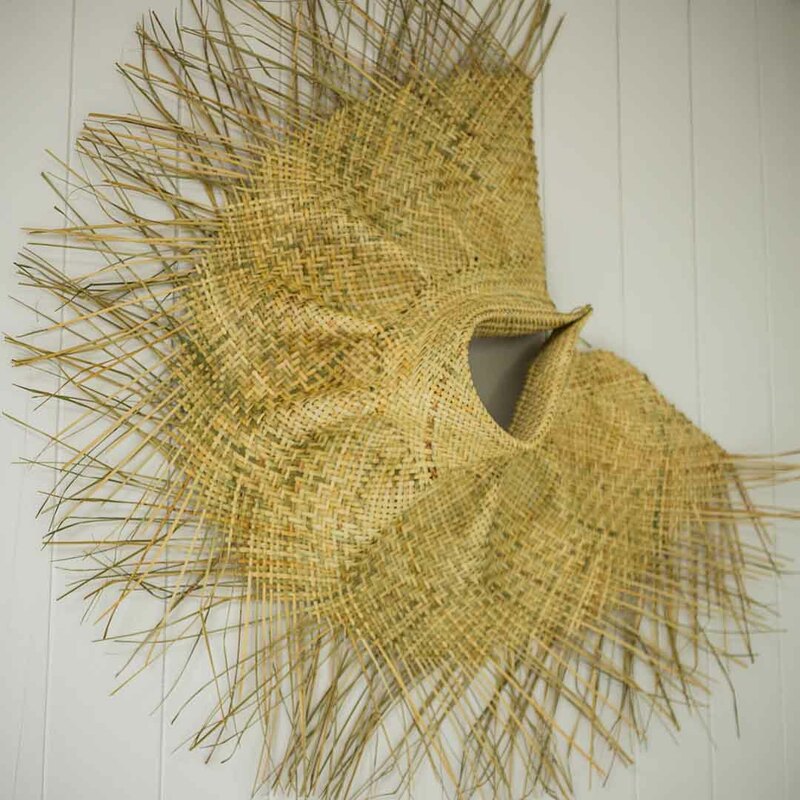 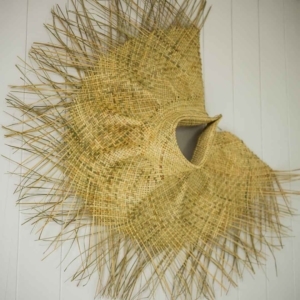 ephemeral seed pod sculptures My first harakeke hat!